Boy, I'm ticked! I made a special trip to Big Lots to load up on more Bodycology body butters to add to Paraben Free Christmas boxes. (See my previous post on their products HERE). ALL of their other lotion products other than the Grapefruit flavor had both Methyl and Propylparaben listed on the label. That made me cuss a bit and scratch my head. I get home and start Googling around. Wal-Mart also sells this brand and has the ingredients listing online. 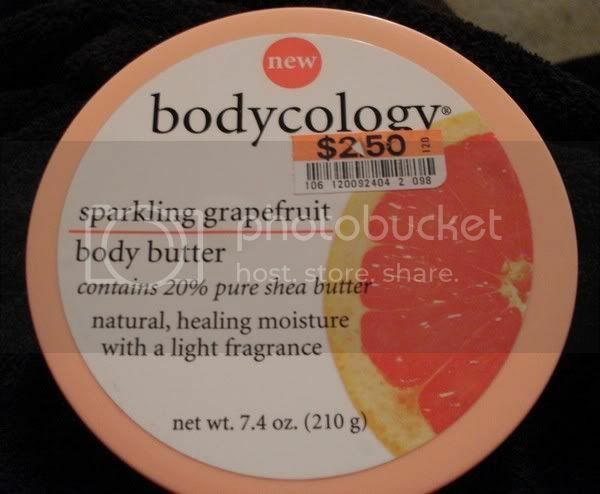 I went through all the Bodycology on their website and ran into the exact same thing as Big Lots. I found another flavor (Pomegranate) of their body butter that did not have Parabens listed, even though all the rest did list them.